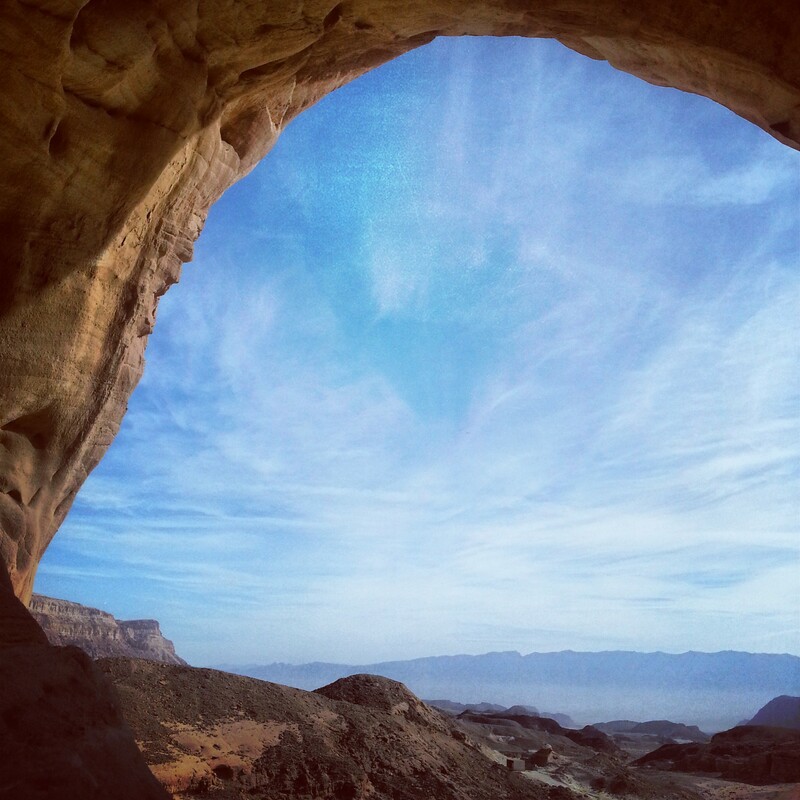 Read about our first day of the Eilat Campus (exploring the Northern Arava and the Ovda Valley), our second day (exploring the area of Eilat and the Eilat Mountains) or our third day (exploring the Southern Arava). With mixed feelings, we arrived at the last day of the campus. On the one hand, the tour had been very enjoyable, very interesting and the breakfast and dinner buffets were rather marvellous. On the other, we were exhausted! They push you hard on the tour guide course! 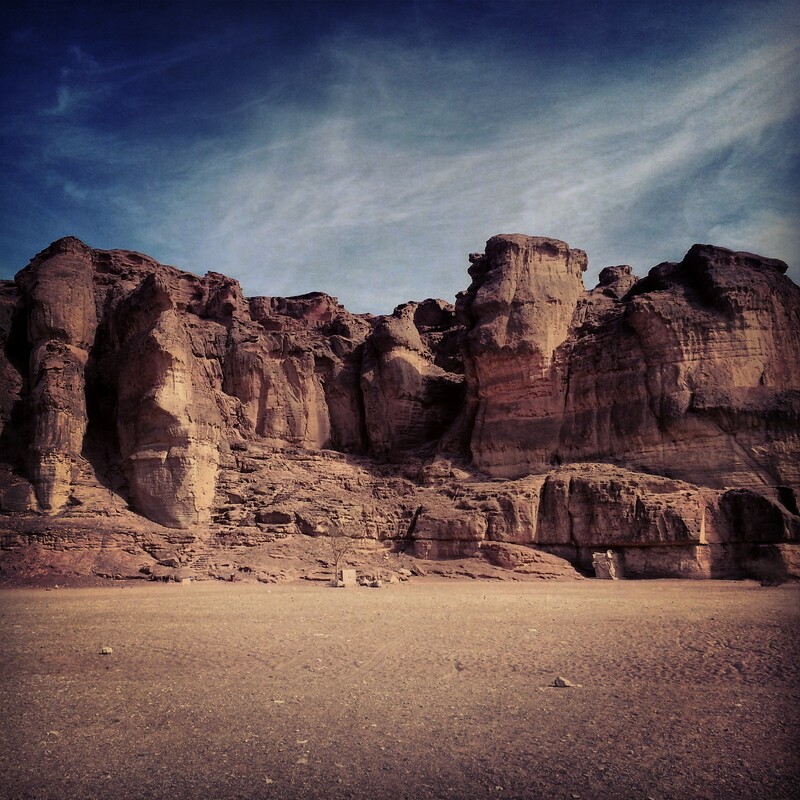 Still, there was one final trip before heading back north, a visit to Timna, also known as King Solomon’s Mines. I was excited to visit the park, a major site in Israel which to my recollection I had never been to previously (my mother later told me that I had been there as a very young child), and I am pleased to say that it did not disappoint. We began our visit with a short film about the site (it was cute, although it was badly tinted green due to a projector problem – I thought perhaps related to copper oxidisation – ho ho!) and then proceeded into the park, a large valley formed by ancient geological turbulence in the area. We began our visit at the site of the Arches. Although not as impressive as my visit to the Arches National Park in Utah a few years ago, the effects of the weathering on the local sandstone were still rather beautiful. We went on a short walk through the largest arch and descending to a former copper mine. Everywhere we went it was possible to see specks of green in the rock; signs of the wealth of copper in the area. We had a good crawl through the ancient mine (dating up to 7000 years ago!). From here, we visited the site known as the mushroom, another geological weathering formation. At the lookout were replicas of the tools used in ancient copper manufacture, and our guide explained the process to us from start to finish. It really is impressive that these ancient men managed to work out the complicated chemical process to extract the copper from the ore. No doubt a huge amount of trial and error was involved as they refined the process over time, eventually stumbling on the idea to combine the copper with tin, forming bronze, and ushering in the Bronze Age. 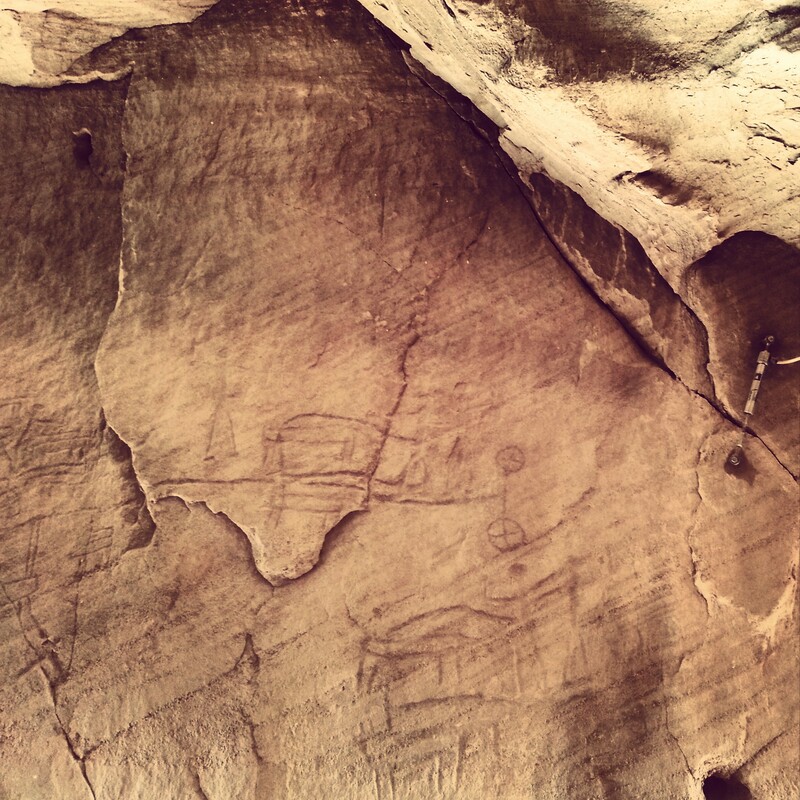 We learned that the peak of Timna’s copper production was under Egyptian stewardship in the 14th-12th centuries BCE, although they did so in partnership with locals. Copper was very important for the Egyptian pharaohs both for personal and ritual use. On the Egyptian theme, we travelled a short distance to see an ancient wall inscription of a hunting scene from the 12th century BCE. 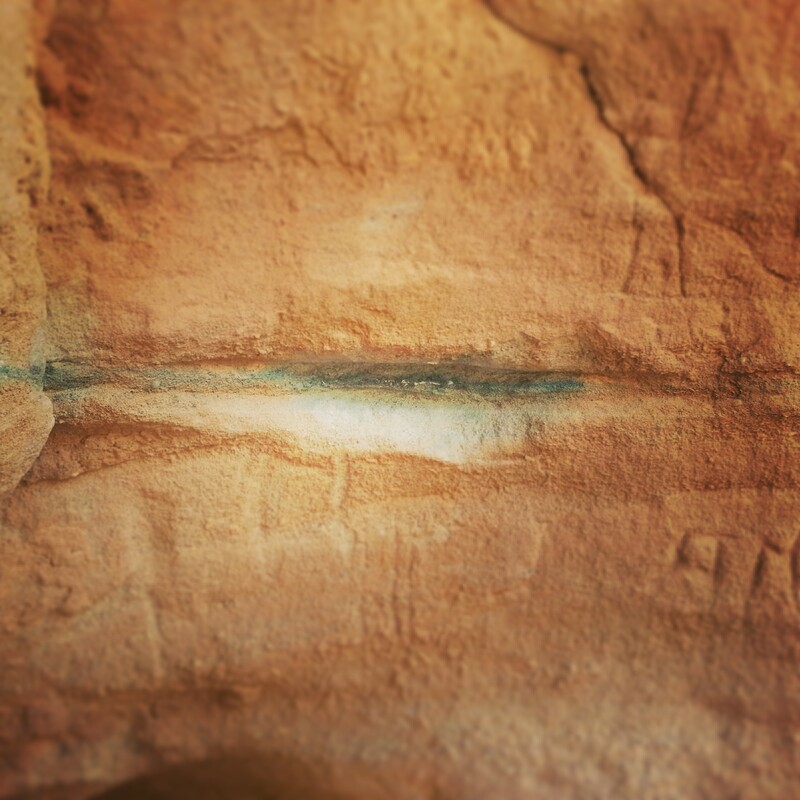 It is unclear whether it was done by a bored worker or was commissioned as a piece of art, but it was quite remarkable to see these etchings still on the rocks thousands of years later. 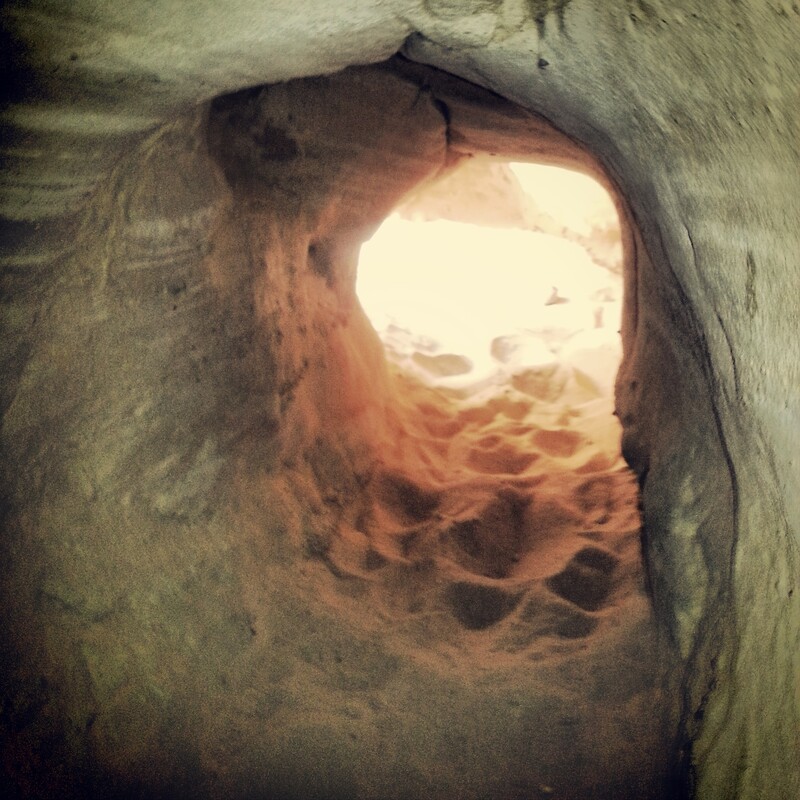 A short drive then took us to an ancient ritual area, used jointly by the Egyptians and the local workers of the mines, with both kinds of gods and rituals present. It is unclear who these locals were although the leading theory suggests that these were the Midianites, a tribe that the bible tells us used to live in the area. In this temple was found a copper snake, similar perhaps to the one famously used by Moses. It is now in the Eretz Yisrael Museum in Tel Aviv. Leaving the temple, we ascended into the cliff face, noting the large seal of the Pharaoh Ramses III hewn into the rock, before descending to the area known as King Solomon’s Pillars. 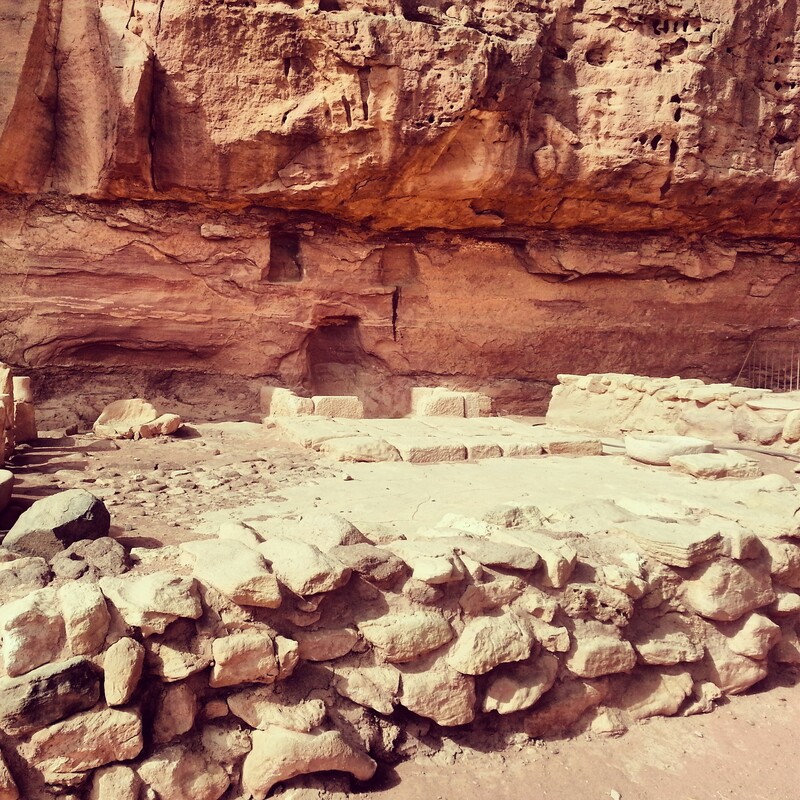 Here, our guide explained to us the link with King Solomon and Timna which developed in the 19th century. There was evidence found there of mining in the 10th century BCE, which is believed to be the time of King Solomon. As we know there was a great deal of copper in the temple, perhaps this was his main mine. This theory was dashed when it was discovered that the real peak of the mining here was in the Egyptian period, but discoveries last summer reopened the question. I shall look forward to sharing the full details with tourists in the future! On that mysterious note, it was time to begin the long journey back to Tel Aviv. Next week we return to the normal routine (and weather). Of course, I shall continue to keep you posted!